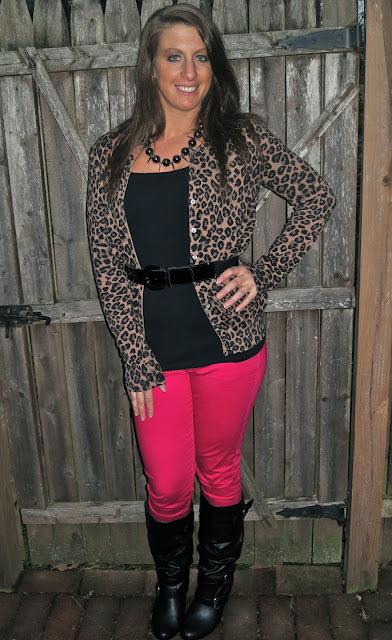 I decided to add some fun to this winter-appropriate jungle theme by throwing in some hot pink skinny jeans! Not only was this a comfortable look but it was so easy to throw together. 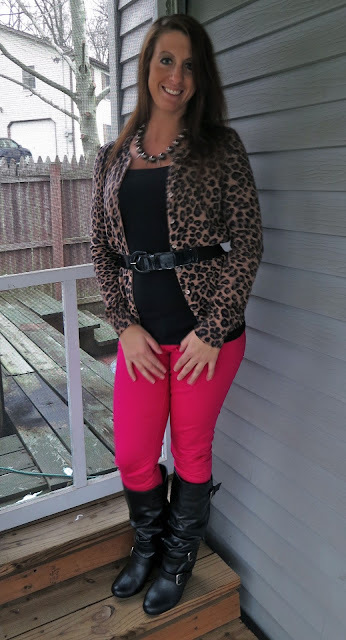 Love the neutrals with the bright pants!